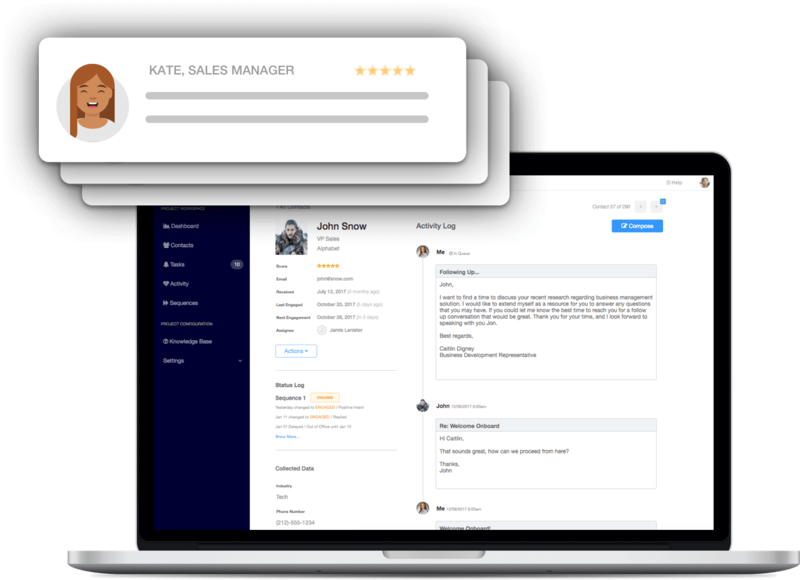 Exceed.ai is your sales team’s AI assistant that enables you to scale lead capturing, qualification, and nurturing via two-way email and website conversations. Exceed.ai is a virtual assistant for your sales and marketing teams. Unlike traditional marketing and sales platforms that rely on forms, one-way email campaigns, and manual follow-ups, Exceed.ai automates many customer interactions currently performed manually. Exceed.ai uses artificial intelligence, machine learning, and conversational bot technology to generate more qualified opportunities through dynamic lead capture, qualification, and nurturing. Start Converting More Leads Into Sales NOW!